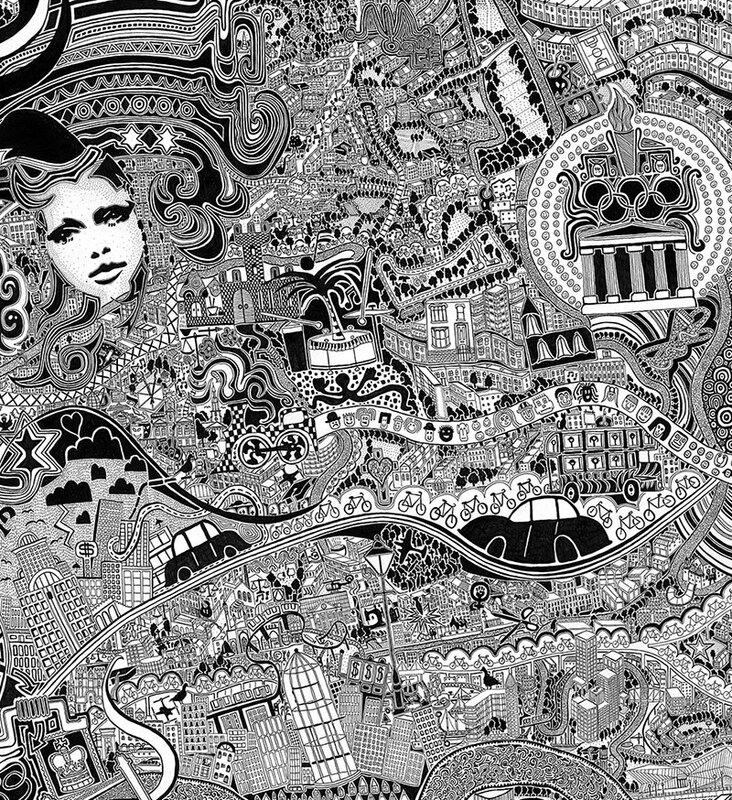 London Town is a psychogeographic map of London drawn by British artist Fuller (real name Gareth Wood), that took 10 years to draw from 2005–2015. 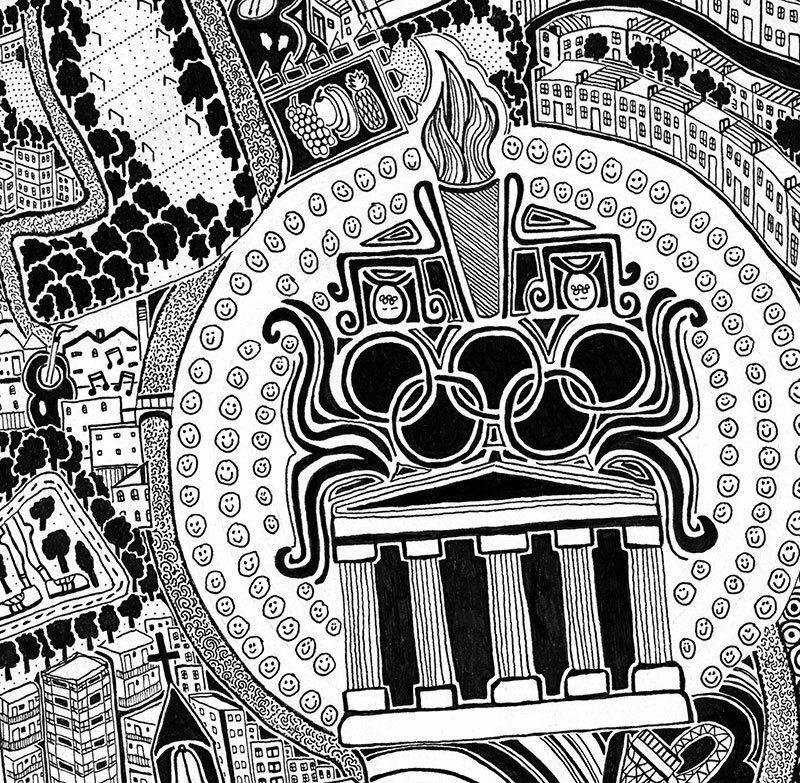 A personal interpretation of the capital, the map not only features recognizable landmarks but also entwined with curiosities, factoids, personal memories, stories and humor such as ladies under lampposts, Alan Turing's final resting place and even planes and drones. 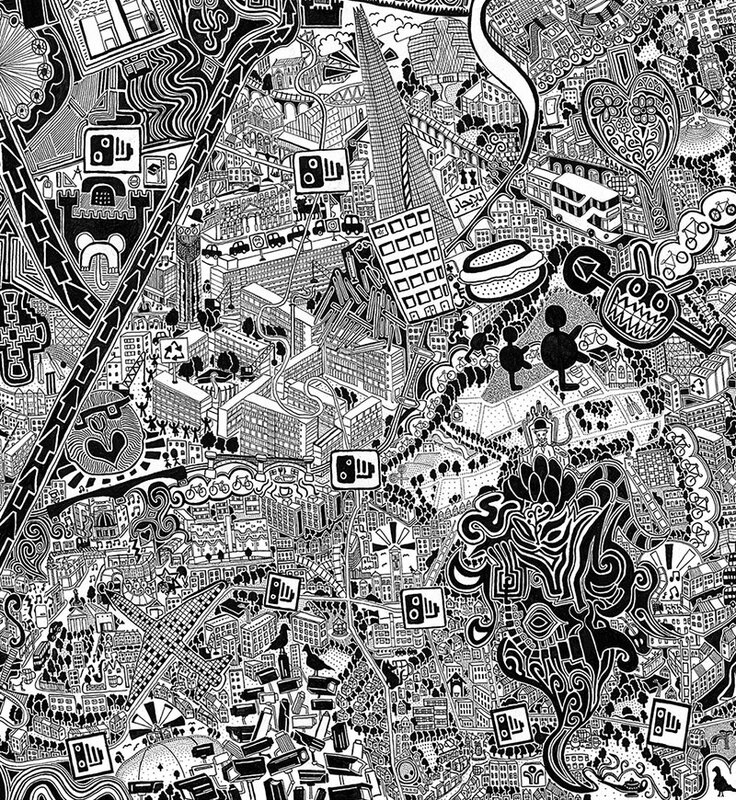 He describes the map as "a little like trying to skim-read a magical surrealism book" with its enchanting chaos "recreated here as a testament to a great city and its unbridled future." 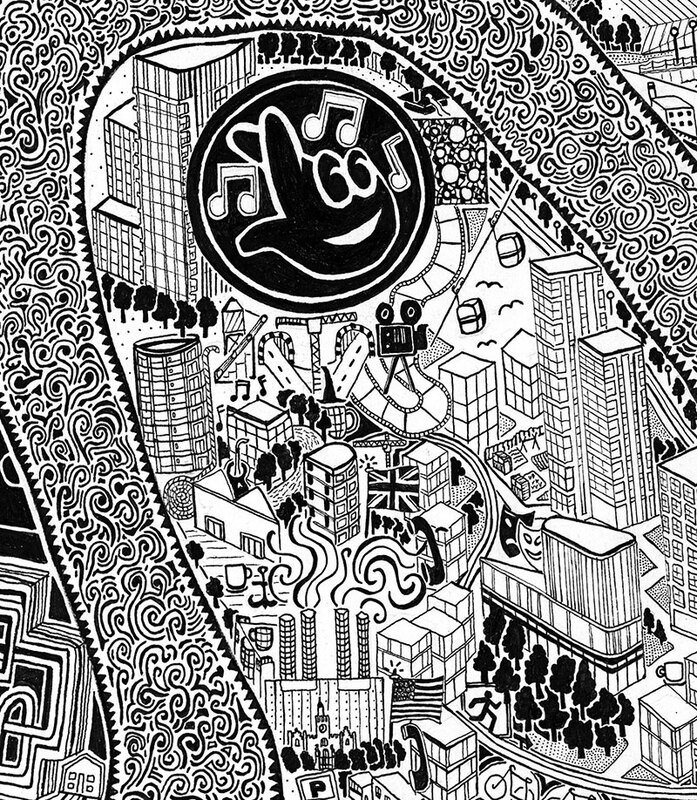 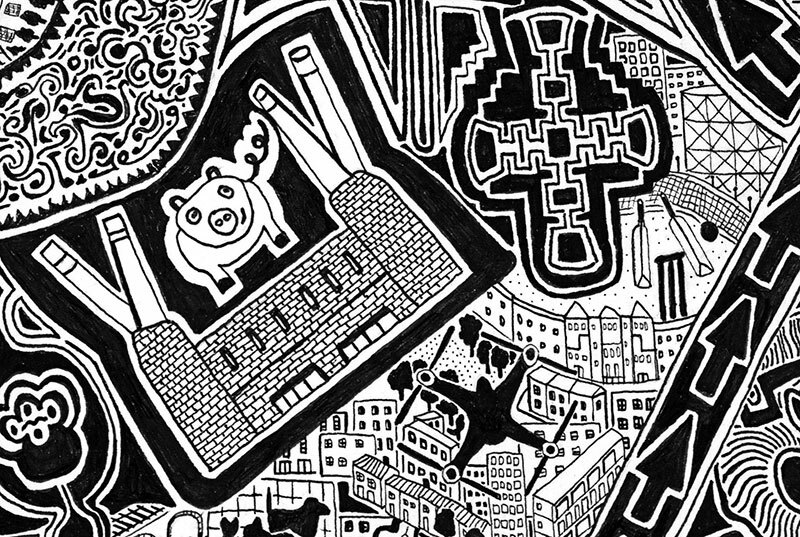 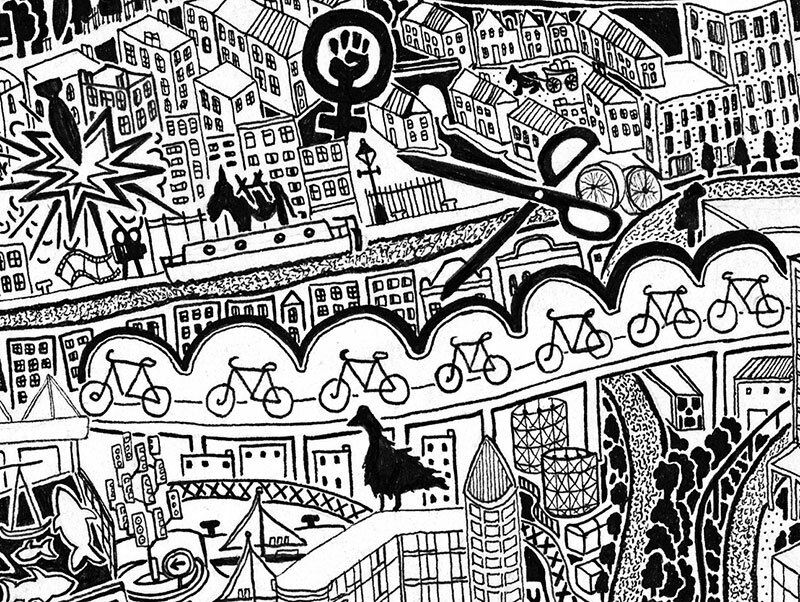 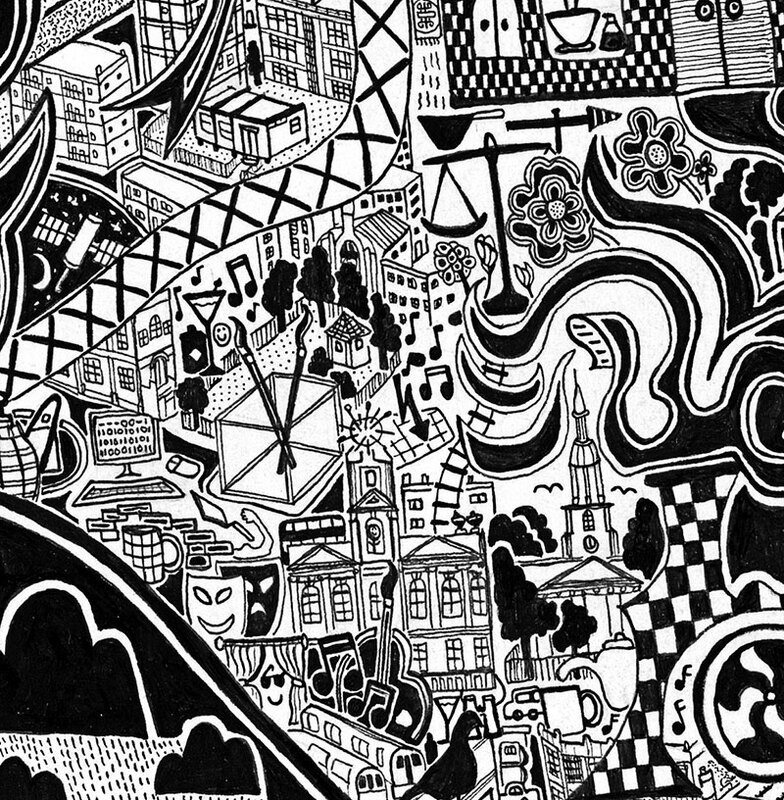 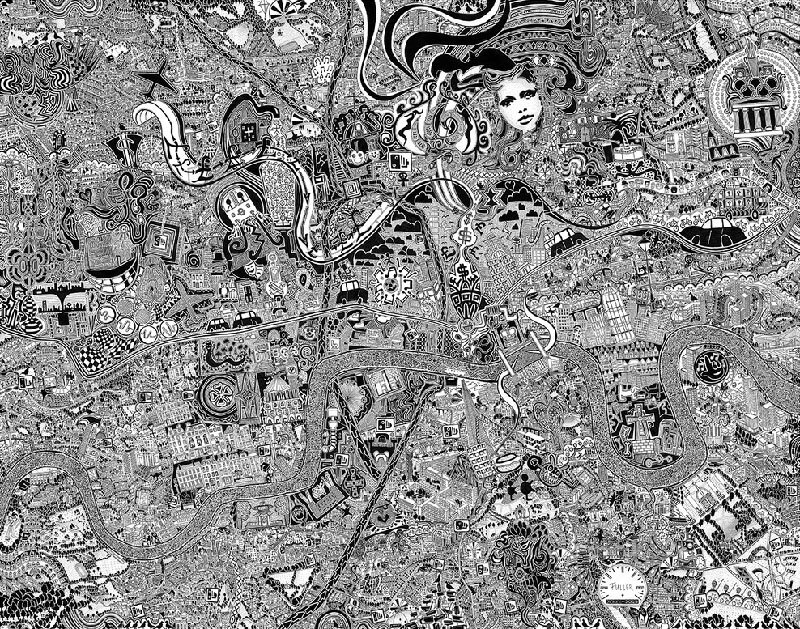 London Town is a psychogeographic map of London drawn by British artist Gareth Wood, aka Fuller, that took 10 years to draw from 2005–2015.